For years, business publications like Forbes and Business Insider have published stories about America’s upcoming tech hubs. Historically, these lists have skipped over Detroit, unaware of the city’s burgeoning mobility tech industry. Thankfully, the country is starting to acknowledge what residents of the Motor City have known for years: Detroit is America’s newest tech hub. The city's technology sector is growing, yet companies are having a tricky time finding enough talent to fill open positions. 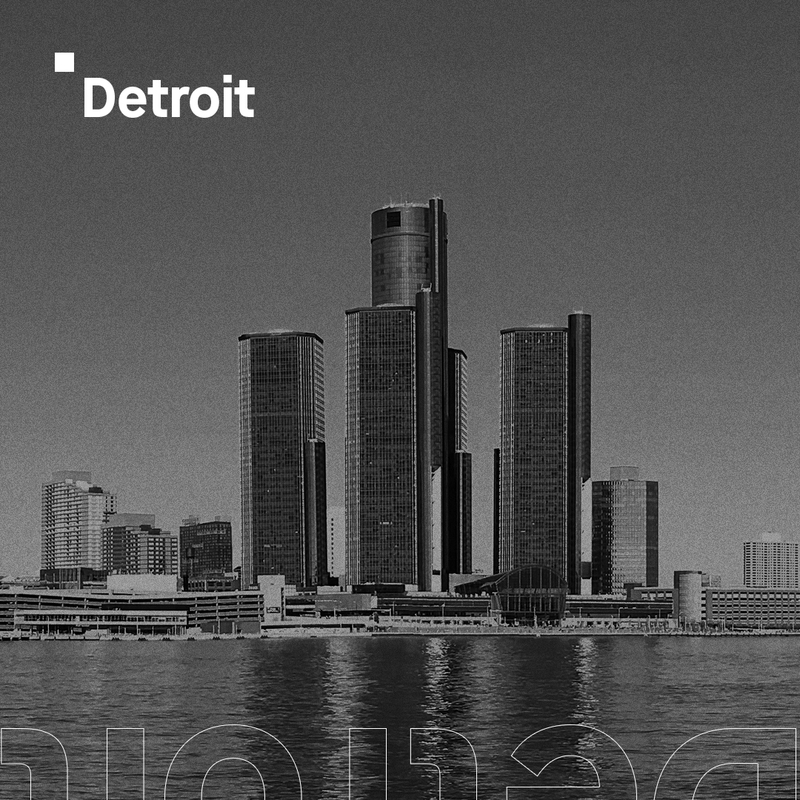 Detroit's tech leaders are bullish – 80% of tech business owners believe that the city can become the next major tech hub in 2019. However, that comes with a caveat: the city has a shortage of skilled professionals. In January 2019, over 8,000 Detroit tech industry jobs went unfilled. Among the roles with skills shortages in Detroit, web development and design jobs are among the top 10. While the skills gap is creating headaches for employers, it can be great for prospective techies and software developers. For example, high unmet demand usually leads to high salaries. It’s not surprise then that the average salary for a Detroit Software Engineer is $81k. Ambassador: Ambassador is an end-to-end platform for relationship marketing. AutoBooks: Small businesses use AutoBooks for their financial and accounting software. Compuware: Compuware is a mainframe software company. General Motors: GM manufactures some of America’s household name cars – Buick, Cadillac, GMC and Chevrolet. MakerOS: MakerOS is a white-label end-to-end business management system for teams creating digital or physical products. Quicken Loans: Quicken Loans is the country’s largest mortgage lender. StockX: StockX is considered the world’s first stock market for sneakers. You can find more Detroit tech and startup jobs on websites like AngelList. Interested in launching a tech career in Detroit? Thinkful can help. Learn more about our Detroit community and unique approach to tech education.